If It's Too Loud...: The Mighty Mighty Bosstones - "Wonderful Day for the Race"
The Mighty Mighty Bosstones - "Wonderful Day for the Race"
For the past few weeks, The Mighty Mighty Bosstones have been teasing a big announcement coming up. Last week, the announcement of new music was made. 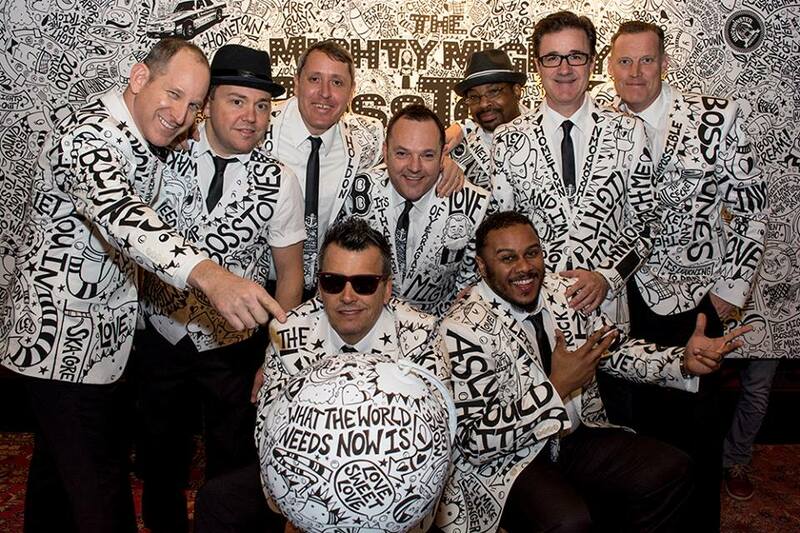 The Bosstones unveiled a new single, "Wonderful Day for the Race." It continues in the Bosstones's current theme of positive music that truly started with their 2016 cover of "What the World Needs Now is Love." In this case, "race" means "human race," and is a message of love and understanding. "Wonderful Day for the Race" also continues the Bosstones's sound. There is no deviation from vintage Bosstones with their new song, which is pretty much perfect. This feels like the kind of song that we'll all like but not love, until we see them play it love. The Bosstones have always been a band you should see live, and I'm looking forward to getting to see this one played in person. Plus, it boasts one of the best false stops in recent memory. You can watch the video for "Wonderful Day for the Race" below. The Mighty Mighty Bosstones's new album, While We're At It, will be out June 15. For more on the Bosstones, check out their website. Kingsley Flood - "Find Me Out"
Oliver the Crow - "Ashes of a Day Gone By"
Gabriella Cohen - "Music Machine"
Nikkie McLeod - "Deep Cry"
The Beths - "Future Me Hates Me"
Only Takes A Day - "Reach"
The Rock'n'Roll HiFives - "Hold On"
NOVA ONE - "if you were mine"
Ruby Rose Fox - "American Daddy"
The Due Diligence - "Life is Hard"
Photocomfort - "Gillian Jacobs' Understudy"
Rebecca Lou - "I Wanna Be Your Everything"